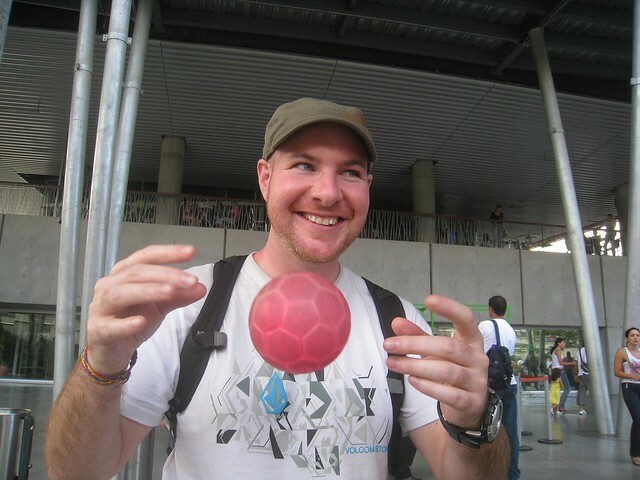 Over five years ago, I decided I wanted to live in Medellin. I barely knew the city, the people, or the culture, but sometimes all one needs is a first impression to take a leap of faith. I began making friends through the hostel and Couchsurfing, several of which I still talk to today. 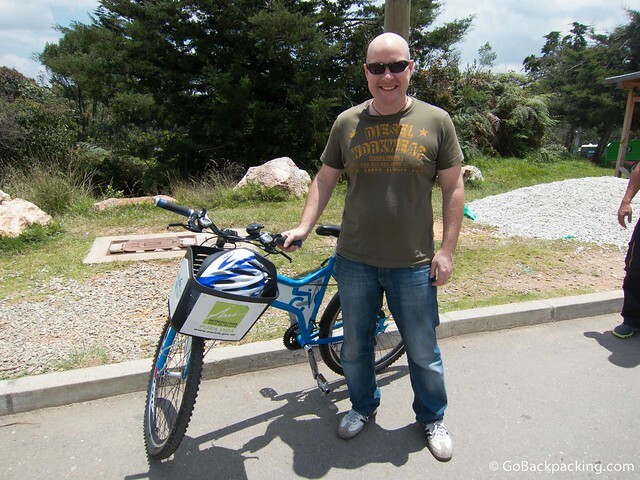 I began Medellin Living to share my experiences discovering the city. I began learning a new skill, salsa dancing, which would prove invaluable to my social life and self-esteem. I began studying Spanish on my own, and with the help of a Colombian friend, Rodrigo. I began approaching and dating pretty girls with a confidence I never had before. I began receiving invitations to visit friends’ fincas. I began renting a room in Ciudad del Rio, as the new neighborhood was literally constructed around me. I bought the bed, floor lamp, fan, sheets, pillows, and a decent shower head. I even chipped in on a new refrigerator. 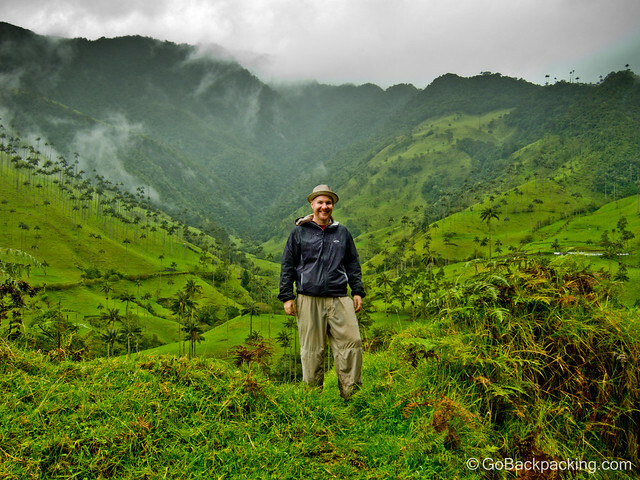 I began exploring the rest of Colombia, from the pueblos of Antioquia to La Guajira. I began answering questions via email and social media, responding to interviews, and meeting with people upon their arrival in the city for the first time. Others began referring to me for all things Medellin-related. I wrote my own travel guide to Medellin. And for the last 5 years, I’ve been content to limit my time in Colombia to the 180 days per year afforded on a tourist visa. Traveling for a living, this scenario suited me well, until recently. By the end of 2012, I was burnt out and exhausted from all my travels the prior 18 months. I planned to focus on work and writing in 2013, and limit travel. I returned to Medellin right before New Year’s Eve, and as always, it felt like I was returning home. This year, I don’t want to leave. I don’t want to travel to parts unknown. I don’t want to set up shop in a new country, and start from scratch getting to know the city, region, culture, food, and customs again. Living in a foreign country? It’s a lot of work. 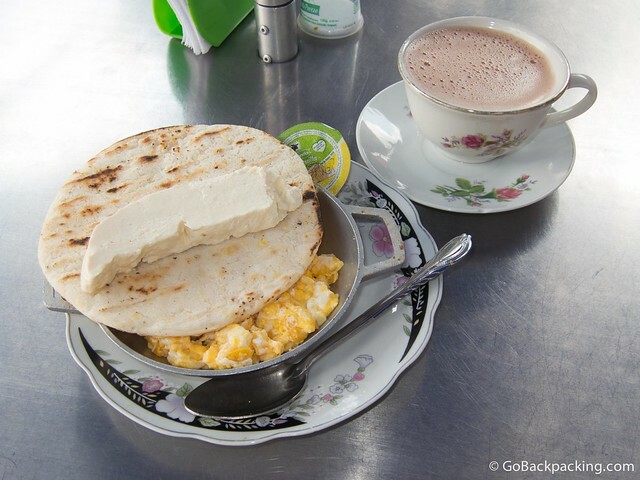 Besides, why do I continue to leave Medellin when I so obviously enjoy it here. What’s standing in my way from spending 360 days a year here instead of 180? The answer to that is a visa, specifically anything besides the tourist stamp you get on arrival. Getting that one is easy, and extending a tourist visa isn’t too hard either. But which visa? How much will it cost me? What’s required? And what are the odds I’ll actually be approved? This year I began asking those questions, trying to figure out my options. 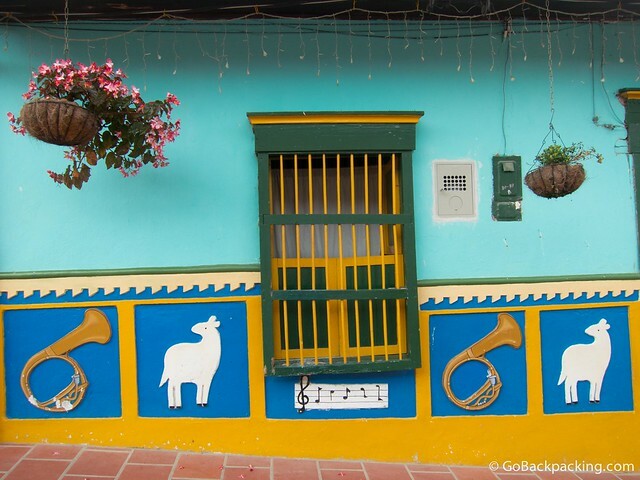 Colombia offers about 15 different kinds of visa. Using the process of elimination, I narrowed down the list. I’m not living with a girlfriend in a civil partnership (resident visa). I’m not in a position to invest $35,000 (investor’s visa) or buy $200,000 worth of real estate (resident visa again). I prefer not to spend the money and time on Spanish classes (student visa), though I could certainly stand to speak better Spanish. And I’m not employed by a Colombian company (work visa). In June, I hired Alan Gongora and the Langon Law Group to help me sort out my best option, and guide me in the application process. Several friends had used and recommended him, and at $220 (including tax and fees), the price was well within my budget. Last month, I had the initial consultation, where we discussed various options. The standard business visa seemed like the most appropriate option for me, but Colombia doesn’t look at online businesses the same way as brick and mortar ones. Would the person reviewing my business visa application recognize the value I offer Colombia in my line of work? Will they only give me 6 months instead of 12 months, or worst of all, reject my application entirely? Last week I finally decided to move forward with the standard business visa application. I’ve begun collecting the required documentation, a process I will describe in the next post in this series. But it’s mid-July now, and the clock is ticking. My tourist visa runs out August 20, 2013. If I can’t get a new visa before then, I’m effectively kicked out of the country until 2014. I’ll be giving up the room I rent, and the comfortable living situation, plus saying goodbye once again to friends, and any lucky girl I happen to be dating. I won’t be around to host the bi-weekly reader meet-ups which are going so well. And it effectively puts on hold the other big plans I have in store. I’m feeling the stress. It’s like I’m in a pressure cooker. And things are only going to get more intense in the coming weeks, as the August 20th deadline draws near. I look forward to reading more about this. I have heard horror stories from those who’ve owned businesses in Colombia and still had to jump through turbulent hoops to stay put in Colombia. It is crazy that I can be penniless but stay in the country for years because I am married to a Colombian and here you are LITERALLY importing money into the country on a daily basis and they can’t recognize that. Agreed! All I do here is help promote tourism and support the local economy in everything I spend. I don’t see a downside for them, but we’ll see what happens! I am interested in your blog. I would like to keep in touch as I am pursuing residency here myself. Good luck and I am sure you will get residency here in this lovely country. Hi Tim, this post was from 2013. I ended up succeeding in obtaining an NE-1 business visa valid for 16 months. It expired Dec 31, 2014. I’m back to being in Colombia on a tourist visa. I’m not sure yet if I’ll apply for another business visa. If I do, I will certainly try to get the maximum 36 months. Neither the tourist visa nor the business visa put me on a path to residency, but that’s not something I’ve been interested in getting. What’s wrong with living in the US ? I’ve lived in the US most of my life, and I’ve found living in a foreign country to be quite interesting. It requires learning a new language, new customs, new traditions, foods, dances. For me, living in Colombia keeps life interesting because it’s all so new and novel. There’s nothing wrong with living in the US. But, by choosing to live in Colombia (or another developing nation), I’m able to have a higher standard of living on the money I make blogging than if I were to try and live in the US. 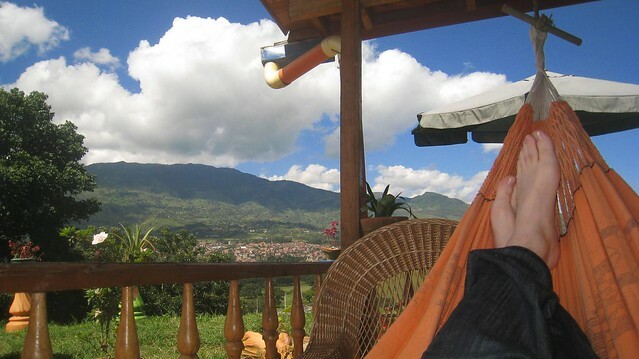 In short, living in Colombia is more fun and affordable for me than the US, at least at this stage in my life. I wouldn’t say it’s right for everybody, but it makes me happy. I understand all too well the stress that comes with the visa situation from having to go through a similar process in Costa Rica. Good luck! Thanks Erin. The most stressful part is trying to get the proper documents from the US notarized and apostilled since I have to rely on others to help me in a timely manner. So far, my bank already messed up the request I made from them, so I lost a week there! My biggest concern is putting all this money and effort toward getting the documents, but not having enough time to receive them in Colombia, and apply for the visa in Bogota. I lived in Panama for 4 years on nothing but a tourist visa. Every 90 days I’d hang out in a small Costa Rican beach town for 3 days on a mini-vacation and then I’d drive back with a fresh 90 day visa. It was quite nice and very easy. As you know, however, Colombia is my next stop and the 180 day thing is quite daunting. I fell in love with Colombia when my travels took me there and I have a feeling I’m not going to want to leave. Do keep us updated! I much prefer countries that make it easy like Panama! Were you going over on the Caribbean side to Puerto Viejo? I visited back in 2005, but it wasn’t until this year that I saw some of Panama. That’s hilarious! It WAS PV. I absolutely loved that little town and if it weren’t for the infrastructure concerns I had, I’d probably be living there today being totally unproductive! Hi Dave. I’m facing the same problem. I’m coming back to Colombia in about a month, and hope to make it more permanent this time. I’ve never heard of the $35,000 investment visa. I thought it was $100,000? Can you elaborate on that? I think I’m mixing up my visas, since the ones involving that much money aren’t applicable to me. According to this page, an Investor’s Visa is an option for those who pay $200,000 for real estate (a home) or invest $100,000 in a Colombian business. The $35,000 figure (or 57 million pesos) is for a different type of business visa then the one I’m applying for. It requires you can demonstrate investing at least this much in a Colombian company, whether owned by someone else, or it’s a company you set up in Colombia yourself. I believe this is annual earnings. What about taxes as this can have an impact on your decision? Taxes can be complex when it involves two countries. You should really look into this. I understand the rule for Colombia is that an individual is considered to be a resident of Colombia if he or she stays in Colombia for more than 183 days in a tax year. Resident individuals in Colombia are also liable for income tax for their worldwide income. But I believe there is also some type of exception for new tax residents of Colombia where newly resident individuals are taxed only on Colombian-sourced income for some period of time before this Colombian worldwide income tax comes into play. There are also other exceptions like student visas, which I am using to stay in Colombia more than half the year. I made that question to a business lawyer a couple of years ago, and she told me that I was ok if I don’t pay taxes working online, but if I had a registered company in Colombia and I was serving colombian companies online, the situation may change. My business is online, and almost none of my advertising revenue is derived from Colombian-based businesses. As far as I know, I won’t have to pay taxes in Colombia. Regardless of where I go, as an American citizen, I’m still responsible for paying taxes to the USA. There is actually a lot more to Colombia tax rules than stated on KPMG’s site. I know several high income expats that are residents paying taxes in Colombia. I also know a couple other expats that file returns in Colombia but don’t pay taxes as they only receive foreign source income in the US that is taxed in the US (and shows up as a tax credit on the Colombian return). Here’s the direct link to KPMG’s page for anyone else reading. Based on that info, I’d be considered a resident for staying over 183 days in a calendar year, but would be exempt from submitting a 2013 tax return based on meeting the conditions outlined under the “Tax returns and compliance” section. I’ll have to research it more, and get a professional’s opinion too. Also found this article indicating new tax laws went into effect affecting foreigners as of January 1, 2013. The last thing I want to do is put myself in a position to get taxed both by the USA and Colombia. That would seriously have me looking at another place to live. If the taxes in Colombia are less than your US taxes then you owe Uncle Sam the balance. If the taxes in Colombia are greater than your US taxes, then you owe nothing. I just moved back to the states from Sweden about a year ago, and I paid absolutely no US taxes, but wasn’t a good thing. Taxes over there were in the high 50% range for income tax. Anyway, I doubt Colombia is taxed heavier then the US so more than likely, you’ll just owe the balance. Either that or renounce your US citizenship. That’s the only way us Norteamericanos will ever get rid of that burden. Thanks. I’m still planning to get some professional advice, just to be safe. I have no desire to renounce my US citizenship. I wish you well in this endeavor and will be sending my positive thoughts your way. I completely understand why you love South America and want to stay more than 180 days. If I had my choice, I would move to Cuenca in a heart beat, but I have to wait for my wife to retire. Saludos mi amigo! My understanding is that Colombia has a wealth tax that kicks in at fairly low levels. Does that affect you if you reside over 183 days a year? I have the same problem, I live near El Jardín (Southwestern Antioquia) and my tourist visa expires in September and can not be prolonged as I will reached 180 days as a tourist. Exactly the same situation- waiting for work contract to ask for work visa but till now nothing is clear. I wish I could stay in Colombia! Yea, I wasn’t thinking about tax implications either. I feel like I’ve gone down a rabbit hole, but there’s no turning back now! any news on that? I have heard that we do get taxed for worldwide income, and its it’s like 19% if you earn from 15k to 23k and then it goes even higher. Yes, through my lawyer, I consulted with a tax specialist. Based on my business and business income, I don’t meet any of the 6 requirements needed to file taxes here in Colombia. So for 2013, and I expect 2014 as well, I don’t need to file taxes in Colombia. Could you provide any info on what those 6 requirements are that would lead to having to pay tax? According to my notes, you need to meet at least one of these requirements to be required to file taxes in Colombia. Note, this does not mean you will need to pay anything, but you would need to file. 1 – Are you a worker for a Colombian company making X amount of pesos? 2 – Do you provide services to Colombian companies? 3 – Do you have more than 120,000,000 pesos in deposits into a Colombian bank account? 4 – Do you have more than 79,000,000 pesos in charges on a Colombian credit card? 5 – Are you receiving an inheritance from someone in Colombia? Dave, how did you end up answering the quesiotns to the bness Visa app? How did you rpive your worthyness to stay?